This is free sheet music for my original song "Pumpkin Pie", which is a favorite among my students! This includes sheet music, movement instructions, PLUS a bonus recorder part! 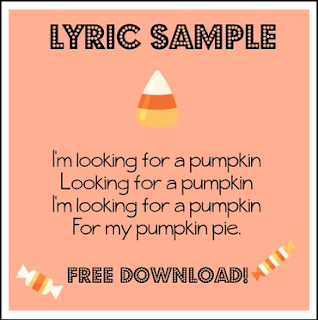 CLICK HERE to view my full-length MP3 of 'Pumpkin Pie'! Pumpkin Pie Sheet Music by James M. DesJardins is licensed under a Creative Commons Attribution-NonCommercial-NoDerivatives 4.0 International License. Based on a work at www.elementarymusicteacher.com.